Welcome to the Diditan Group — a local luxury home builder specializing in residential development, finance and real estate investments throughout the greater Los Angeles area – all under one roof. Our boutique-style infrastructure is fortified by an in-depth knowledge-base virtually unseen in the landscape of real estate investment in which custom builders, financiers, and realtor’s are collaborating under one roof to find opportunities missed by others. Rental-ready preparation officers who quickly get your multi-unit property set to lease while aggressively marketing it for the highest rental demands in the area. Our All-Star team of agents and brokers with unique areas of expertise that guarantee the highest return on buying or selling property. Our Investment IQ stems from decades of experience and innovative thinking that bypasses the traditional “loan in a box” model. Discover the Diditan difference, and explore how our leading-edge approach to real estate investment solidifies a high-return revolutionizing the way people manage and incur their wealth. Diditan Luxury Home Builders is a licensed general contractor in the state of California. A high-return investment in real estate development depends on three primary factors: an in-depth understanding of the market, smart land acquisition, and a premium quality build that places the structure in a class of its own. We Know the Market – The perfect glass of wine is dependent on various notes that harmonize together under the development of a master vintner. 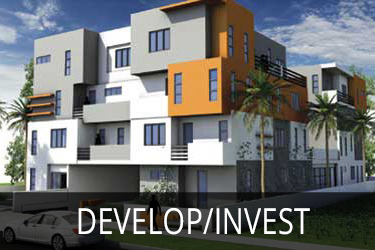 The perfect real estate development investment requires the same formula. Diditan consists of hand-selected experts from their specific industries that collaborate under one canopy to offer a well-balanced, advanced knowledge-base that synthesize beautifully to offer the best real estate investment opportunities in Los Angeles. Land Purchase – Our Diditan team pools their knowledge to locate the best build sites for residential and multi-unit properties. Being able to forecast market value, negotiating the sale, and knowing how to leverage your portfolio to get the best land deals in LA is key to a high-return investment. Build and Design – Frank Gehry once declared that architecture should speak of its time and place, but yearn for timelessness. This is our dream; to re-create that villa you rented in the hills above Florence, but with those added personal touches that somehow transcend form. We conceptualize your yearning for a living space not yet of this world, and create homes and multi-units attesting to the avant-garde of modernism. Because true timelessness in construction is achieved by uniting vitality, art, and the emotional response it garners from its beholders. Diditan Group also builds custom hybrid homes of mixed architectural genres. And to truly remain timeless, we receive your dream and translate it into a habitat that boasts your legacy, while securing your high-return investment. In order to succeed as a residential developer in Los Angeles, clients must come first without compromise. Diditan Group raised industry standards by actualizing our own dream of offering clients an upscale boutique experience in home development by providing architects, builders, financiers, and real estate agents all conveniently seated at the same round-table. Our experience in financially securing our client’s dream homes and investment properties eclipses traditional lending institutes who fall victim to missed opportunities in better rates and terms. We also help clients advance their investment portfolios through scrutinizing the financial landscape for that needle in the haystack that maximizes ROI. With the Diditan Group’s financial team fortifying your investment under daily consulting with architects, builders, and realtors, construction loans just got easy. 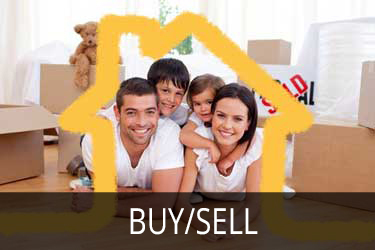 Whether your investment relies on buying or selling a property, the best venture begins with the best in the business. Our agents and brokers were recruited for their unique skills and levels of expertise in various sectors of real estate. With Diditan you don’t get another garden variety top-producing buyer’s agent or seller’s agent; you partner with a true industry expert backed by an arsenal of professionals who step in to aid in squeezing every last resource dry to your advantage. Why Should I invest in a Luxury Built Home? When you buy a house through traditional means, you may be home, but the structure reflects someone else’s dream rather than yours. When you spend your holiday renting a beautiful property that encapsulates your imagination, it will feel like an extension of your being, yet you never truly feel at home because its not yours, nor is it a precise reflection of your soul’s aesthetic identity. The Diditan Group signature resolves this dilemma; our architects, builders, and financiers work together to create that mystique that culminates when a perfect design, build, and financial solution fuse to create a single statement—the home of your dreams. 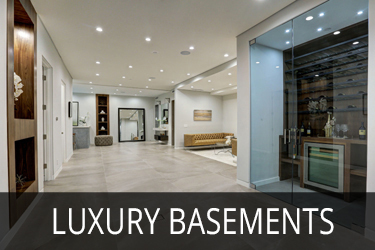 The Diditan Group creates outstanding luxury basements custom designed for our clients to expand their lifestyle. Whether we are building a custom home for you or remodeling your existing home, adding a luxury basement will increase your home’s value and enjoyment for years to come. What is the Diditan Signature? The Diditan Group signature creates timelessness through weaving client’s dreams into one-of-a-kind designs. Do you want a house in Los Angeles that takes you back to your childhood home in New England—that Cape Cod with the gabled dormers and pitched roof, yet you want it to blend in with the contemporary aesthetics of your neighborhood while appealing to your mature tastes and love for mid-century mod? Our architects get to know you, and your family; we talk about your origins and where you plan to be in the future. Then we orchestrate a design that embodies art while accommodating your family’s growth for decades to come. We consider concept, the use of natural light, and flow. Our designs tell a story; from afar our properties appear as if songs frozen in suspension. Our designs play whimsically with lighting, lines, and mediums to sing your legacy through visual story. The Diditan signature also incorporates our unique approach to offering exceptional customized service. You can have a room full of investors who know a great opportunity when they see one, but their needs, portfolio, and requirements are all vastly different. We take the time to get to know you and understand your goals in terms of wealth management, lifestyle, family, and everything in between. Our team makes sure your investment is inline to help foster your goals as opposed to following some textbook finance model straight out of Wharton. From the start you get a sense of the Diditan signature; we are by your side through every step of the process to make sure you get a caliber of care modified to custom-fit your capital, future plans, and greatest aspirations. When Frank Gehry directed the build of his design for the Guggenheim, it was completed on time and at budget—a rarity for a project of such a scale. This comes to no surprise for the Diditan Group. These builders were not just contractors employed to create an experimental testimony to Deconstructionism; they were team members creating a piece of living art that captured reflective light with the goal to animate the exterior. When we build homes our architects and construction crews apply the Diditan Group touch by taking the design and harnessing life. We use the finest materials whether locally sourced, or shipped from abroad. If your design requires modern concrete walls with flecks of local marble, or your Tuscan build depends on re-claimed wood from that old abandoned farm you passed in Lunigiana, our builders work seamlessly with the architect to ensure the build is precise while upholding the high integrity of the Diditan signature. Investing in Los Angeles real estate requires creative financing from a trusted firm with an ironclad track record in securing investor high returns. If you are ready to grow your wealth the Diditan Group offers the best real estate investment opportunities in Los Angeles. Our properties don’t just incubate your money; when you build a multi-unit to landlord over, or you construct a luxury home in the most desired plots of land in Los Angeles, you are adding your personal stamp while building your legacy. Have you entertained the fantasy of building a luxury home in Bel-Air that will be the talk of the town? Want to know what your predicted ROI would be on a custom built home in Malibu with ocean views? Call us today to set up a time to meet and discuss your vision, and how our investment opportunities can fortify your financial persona. Our success is dependent on prosperous investments. This means our clients must have access to the best financing, secure land in ideal locations, and build a property that garners massive equity increases. 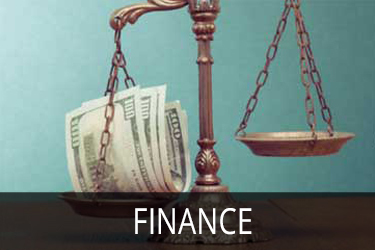 The Diditan Group uses our expertise and market insights to leverage the best financing options for our clients. Call to set up a one-on-one appointment with one of our financial officers and learn how our lending opportunities can secure your investment property at the lowest rates.